We have finished this field visit, and we are already planning for our next visit in September 2019. If you want to learn more, please consider joining us for our annual Zienzele Night Celebration! Both Prisca and Nancy will be on hand to answer your questions! the villages that make up the stations along the Walk for Zienzele (our major annual fundraising event) will now be familiar to you! gather sponsors, recruit friends, showcase your knowledge of rural Zimbabwean villages, enjoy a leisurely walk around Occom Pond AND join us at the Zienzele Night celebration right after the Walk! All Walk participants are invited to attend Z-Night as our guests! a highlight of Child-Headed Household Day: Rhaditzho Shumba! canola greens and corn all looking good! To give you a sense of the challenges our gardeners face: this is the Rindge River in the WET season. This Gogo (grandmother) is the best dancer in Chomuruvati! Most money paid for baskets......$3,345. Gardens ready for planting- they even bought their own gate! They told us about their micro-lending within the basket groups- we LOVE to see this happening!! Mai Mbaiya is an effective and very well respected leader. The rest of the community appreciates and respects these women’s accomplishments- these ladies are important people in Chikofa! Prudence is #1 in Grade Two in Mushai! these women work hard to make sure children like Prudence get the chance to be top of their class! A big welcome for Zienzele at Mapagamuri! We think Primrose is pretty great! 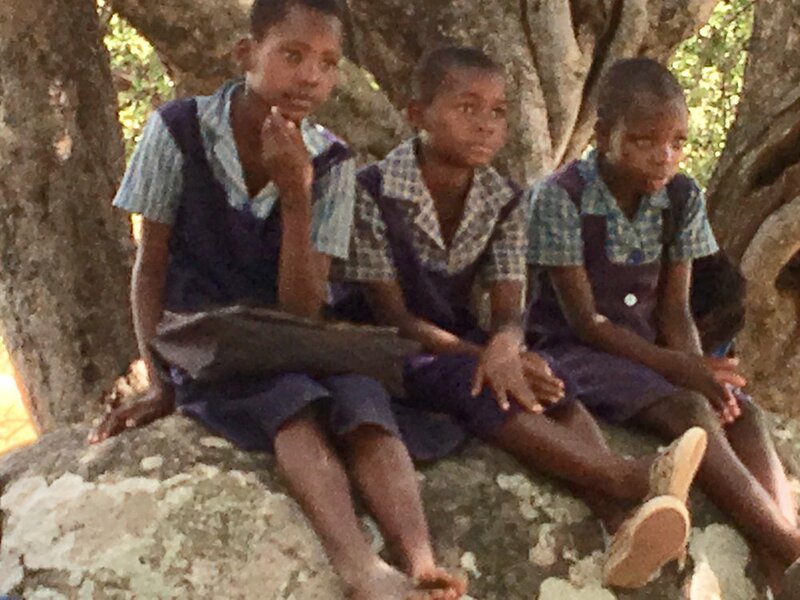 “Chamatutu is at the proverbial end of the road: a small isolated village and one of our newer groups. In the past, they have struggled: they had to learn how to make baskets, they have no water for a garden, they have a poorly motivated population ( on the whole, folks are more interested in gold panning) so today was a HUGE surprise…. We met with the kids- not terribly bubbly, low aspirations. This is not unusual in villages that are new to Zienzele- it takes TIME to develop trust- we must remember that Chamtutu is early in their journey toward thriving self-reliance! Visits to new groups like this also remind Prisca and I to stay conscious of the profound changes we have witnessed in our ‘original’ groups. Sometimes we lose sight of that, having been at their side for each incremental change. Then we met with the women. There were only about twenty women, many having left the group as their orphans left school. This is for sure one of our smallest groups. They talked with us of the challenges of people not making the baseline of 6 baskets each, of disagreements within the group, and of the inability to attract new members-hopefully it was helpful to talk it through with us. Then they revealed the baskets. A total shock! Chamatutu’s sales wound up equal to the sales of Berejena-a larger, more experienced group!! We all expressed how impressed we were, and naturally they were very pleased with themselves! They also got to experience the immediate reward for their excellent basket production: we increased their student number to 26! They also got 2nd prize for the poultry show, so despite their somewhat glum tone, SOMETHING sure is working in Chamatutu! OUR ANNUAL ZIENZELE NIGHT CELEBRATION! THE ZIENZELE KIDS OF CHAMATUTU PRIMARY SCHOOL! CARRYING WATER FOR THE SCHOOL CHICKENS…. THAT’S RIGHT! CHAMATUTU PRIMARY SCHOOL HAS ITS OWN CHICKENS! ONE HUNDRED AND EIGHTEEN CHILDREN!!! WHAT A ROLE MODEL WE HAVE IN PETRONELLA CHIKWATI!! Petronella joined us again today to lead workshops that encourage Zienzele kids to stay focused and stay in school. Petronella is an amazing young woman, and someone we have supported and encouraged since she was very young: she was one of our original Child-Headed Households, she was part of our original drive to keep girls in school through secondary school, and she is a shining star of our post-secondary education program! All this AND she is an engaging and charismatic workshop leader- we feel such joy seeing her mature into such a wonderful, resilient, healthy, and strong Zimbabwean woman! Petronella is currently at Great Zimbabwe University studying Geography and Environmental Studies. She is seeking an internship at a mining company and came to offer to work for Zienzele for the chance to earn the money she will need to cover transportation for this internship. Together the three of us agreed that she will clean the Masvingo Zienzele House and help with the roofing project we have scheduled there in May in exchange for the money she needs to make her internship happen. If you would like to contribute to our support for Petronella’s next step, contact us! Saturday in Musvovi “We went back to Musvovi for our official school visit and basket purchase. We met with all the kids- forty-eight of them! Prisca and I were impressed by their confidence and willingness to speak English with Mai Joseph (Nancy). These students are speaking at a much higher level than any of the other schools, and several of them had used their English skills in the entertainment program at the Poultry Show. Zienzele All-Star for today: Darlington Gumbo is one of three kids in a Child-Headed Household that we support. He is in Grade 7 and was #1 in his class last term! Hooray Darlington! He wants to be a doctor. Prisca and I are determined to figure out a way for him to attend Berejena Secondary School. In a previous post about Berejena, we introduced you to Rhadidzho Shumba. We went back to Berejena yesterday, and we thought you might like to see a photo of Rhaditzho and her beautiful smile! If you would like to join our effort to support Rhaditzho, please consider sponsorship through our Child-Headed Household program.